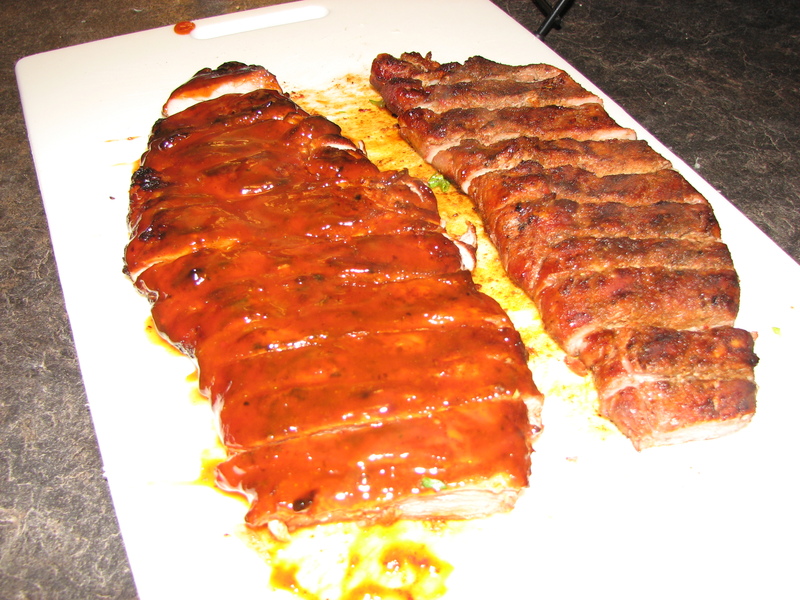 No these aren’t actually ribs… it’s pork tenderloin pounded flat, then scored to look like ribs. 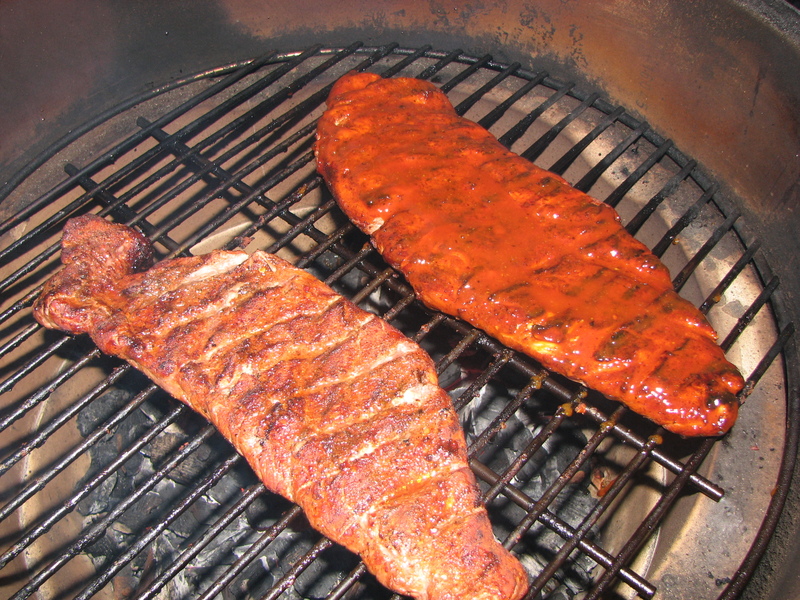 It is the healthy version of “ribs” because tenderloin is much MUCH leaner than ribs are and they don’t take 5 hours to cook, which can be a nice thing too. 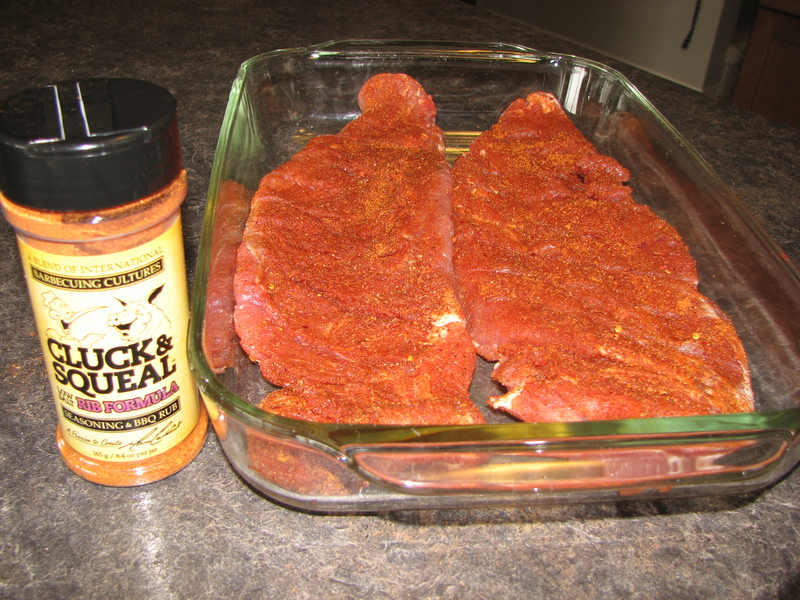 Step 3) Season with your favourite spice rub! When I made these, it was my first time trying the Cluck & Squeal Low Salt Rib Formula and it was mighty tasty!!!! 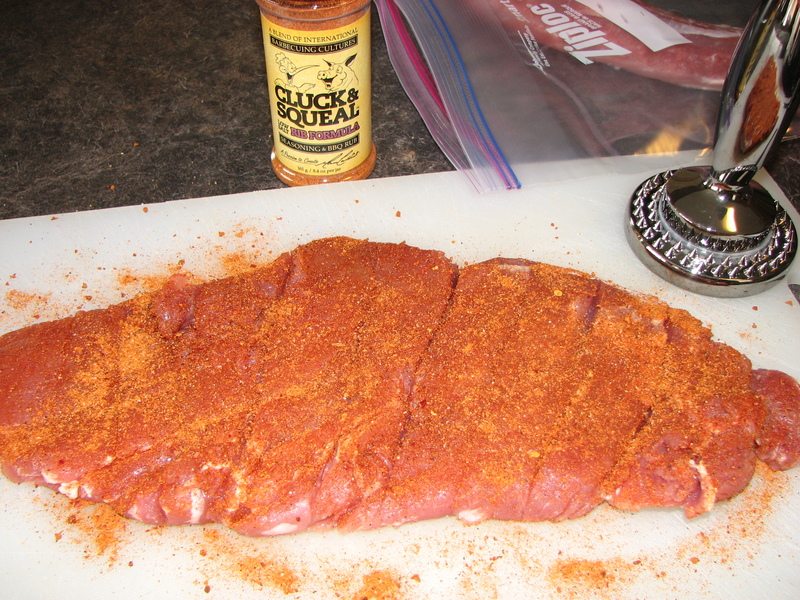 This has become one of the rubs I use now for ribs and pork butts all the time because of it’s lower salt content. 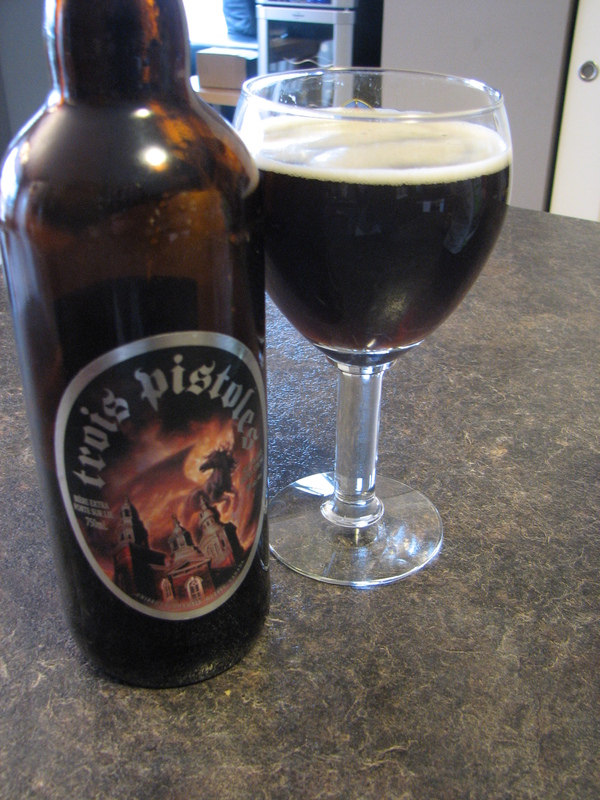 Step 5: Repeat as necessary and then put in the fridge for a few hours. 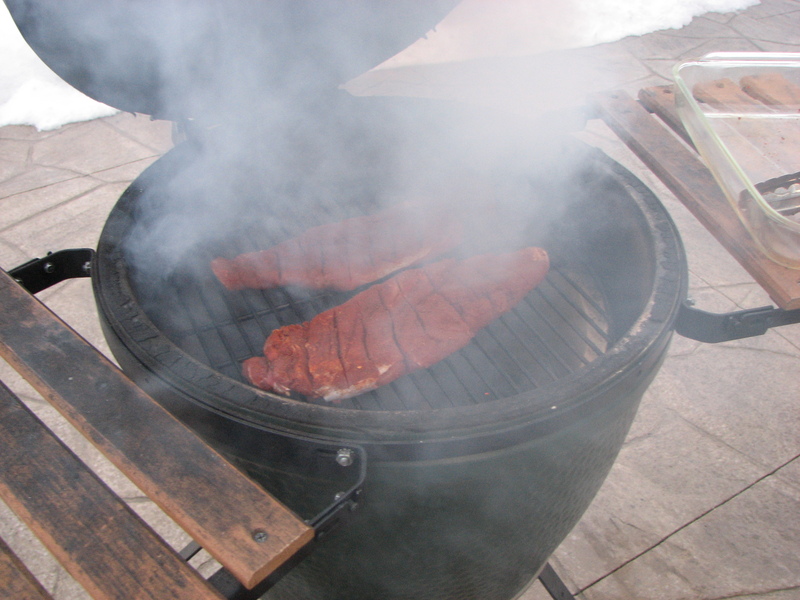 Step 7) Light your Big Green Egg and prepare to do a direct cook at about 350F and get your smoke chips ready. 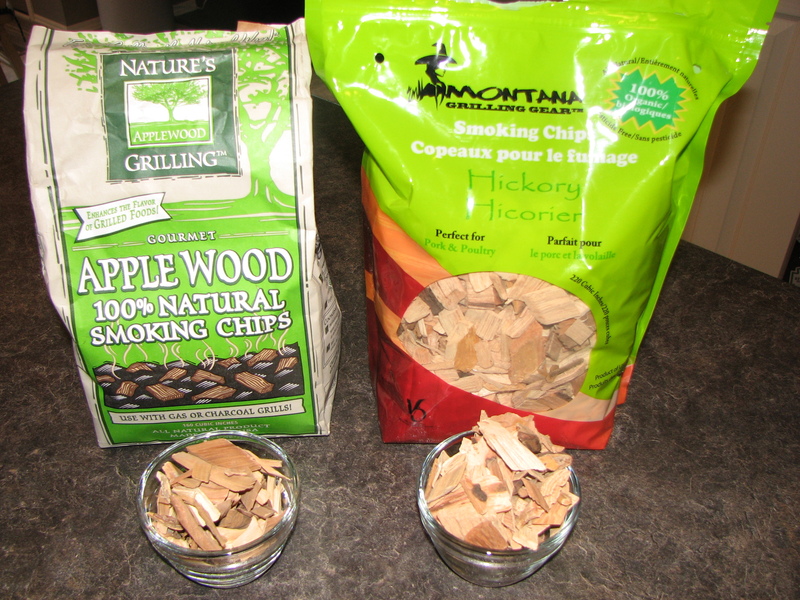 I used 1 cup of apple chips and 1 cup of hickory. This is not going to be low and slow so I was going to give the meat a blast of smoke. 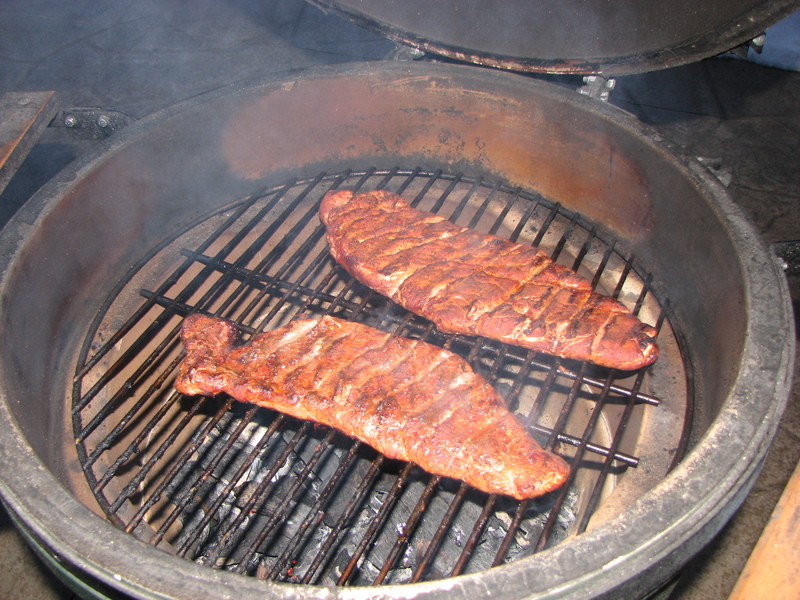 Step 8) When they Egg is holding at 350, put your dry wood chips directly on the coals and immediately add the pork. 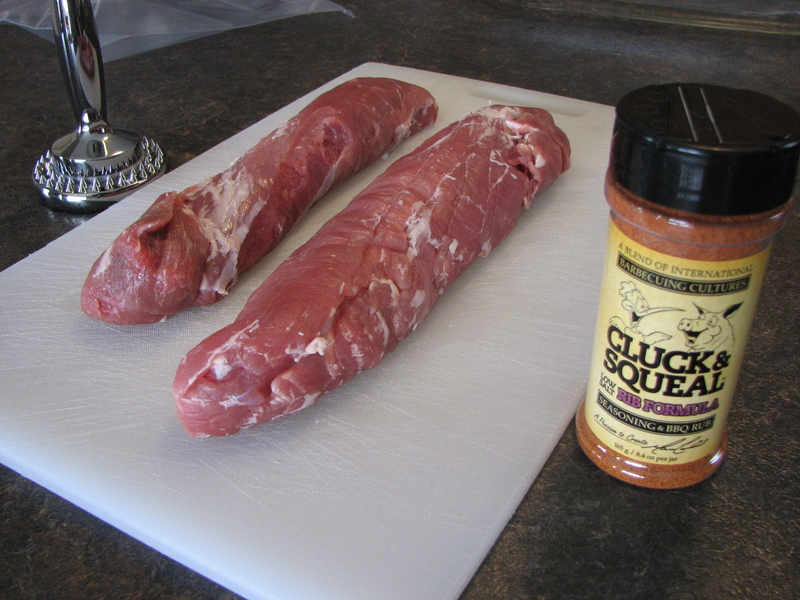 Let them cook, but keep an eye on them, pork tenderloin will over cook quickly, especially when pounded flat and cooking directly over the coals! Step 9) Sauce em up (if you want). I wanted to try the rib rub on it’s own, so I only sauced 1 of the slabs. 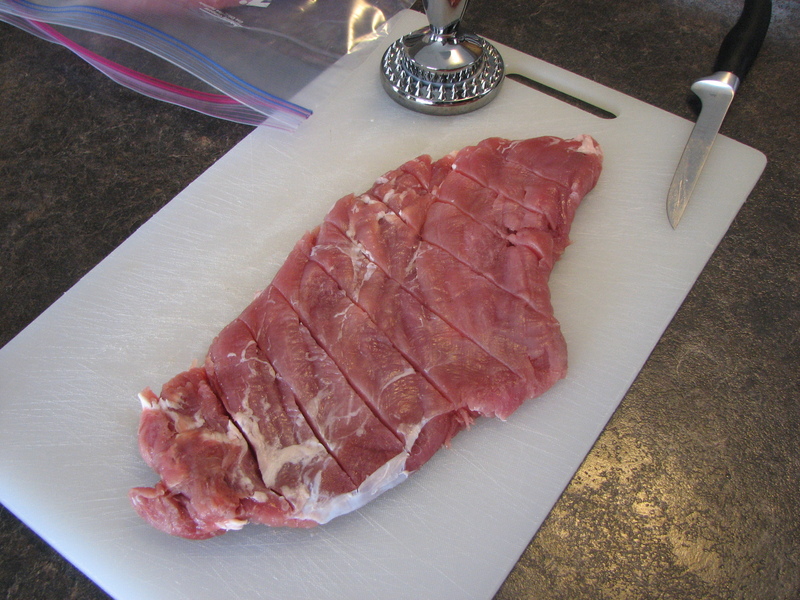 This is really a great way to enjoy healthier “Ribz”. We actually “borrowed” this idea from the Eat, Shrink & Be Merry cookbook, only we did not use their sauce or spice rub here, but we have used it in the past and it’s very good too.